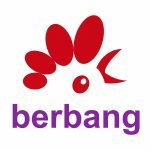 Berbang Publishing House was founded in Istanbul in 2013 by the writer M. Çiya Mazî with the help of Şivan Zeren. The founding goal of Berbang was to publish the works of its founders; however, it soon began publishing the books of many different writers. This was not only because of the insufficient number of books being published in Kurdish, but also because of the lack of response from the publishing industry. Berbang also wanted to provide Kurdish-language writers with the opportunity to gain knowledge and experience in publishing and editing. The founders also thought that if a few Kurdish-language writers came together in a collective or if one person opened a publishing house, then they could easily publish their own works that had been sitting for years on the shelves of other publishing houses. They saw this as an alternative within a struggling Kurdish-language publishing industry. Despite financial and material limitations, the Berbang Publishing House published nine books in its first two years. These books were distributed across Kurdistan and reached a wide readership. From the beginning, Berbang committed to only publishing books in Kurdish. This was because Kurdish had been crushed under assimilationist policies and suffocated by bans and was unable to develop for decades. For these reasons, Berbang’s founders were of the opinion from the very beginning that the choice to publish solely in Kurdish constituted a necessary form of positive discrimination.